Gotham City has a protector who hides in the shadows to make sure it's citizens stay safe. That man is only know to the public as Batman. This dark knight has taken on the likes of Ra's al Ghul, Scarecrow, the Joker, and Bane. 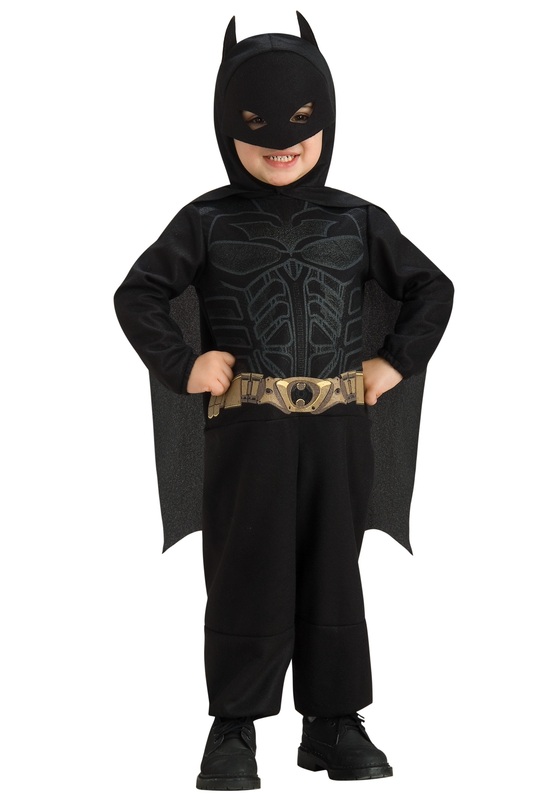 Now your little one can take on the role of Gotham's protector in this awesome superhero costume. Is he up for the challenge? We sure think he is! He can become just like Batman in the Dark Knight trilogy when he goes in this costume that's designed based on the massively popular installments of the Batman movie franchise. Of course, this costume is just a polyester fleece jumpsuit instead of all that heavy duty Bat armor, but we think it will be a good fit for him. Because it's much more cozy and comfortable than an armor suit! The Cowl headpiece still has the signature style, and it has an attached cape, too, because Batman would definitely never step out of the Batcave without his cape on! Printed chest details and a printed belt with the Bat Shield logo round out the style cues on this costume. It's 100 percent polyester material, and it's DC Comics officially licensed, just in case you were curious. No knock-offs here! Suit up your little guy in this iconic costume, and we're sure it's going it's going to be a great Halloween adventure. Bane better watch his step out on the trick-or-treat beat!